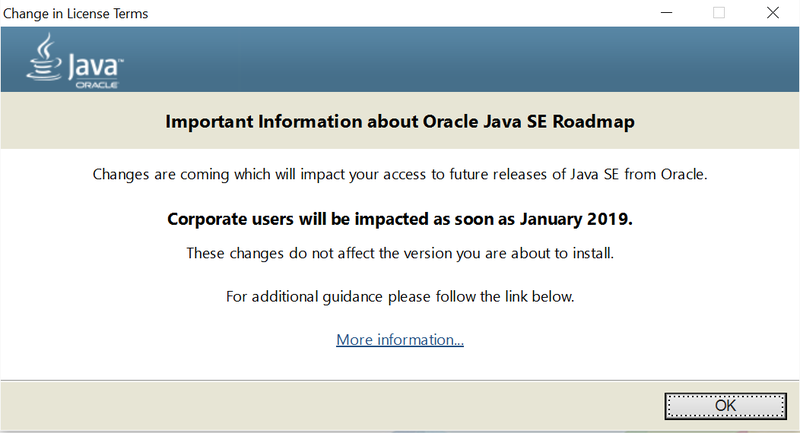 I update my JRE 8 today evening and got this message from oracle. For years, oracle is the JDK/JRE I have been using for developing and deploying my programs. Ever since Oracle purchased Java from Sun, experts in the industry were predicting that sooner or later, Oracle will not keep Java free. But they did for years. 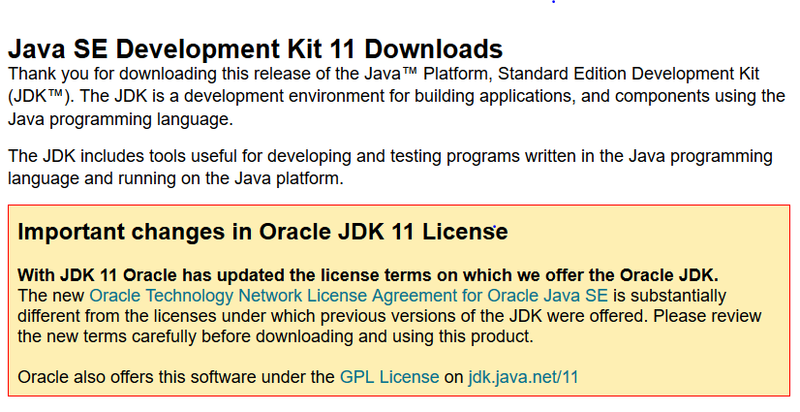 If you go on JDK 11 Download page, oracle presents you with this message. So, you need to include the runtime in your javac and java command to build and run the javafx app. https://stackoverflow.com/a/50833941/1097600 It is also available as a maven dependency. Java web start came from the applet world. And I really didn't see the adoption of JWS. Most softwares rolled out their own updaters. For me, JWS had following benefits. Just give a small .jnlp file to download and launch your application. Auto update your application if application updated on the server. But didn't see anyone using it. People mostly preferred to bundle the app with JRE. Also JWS launched with security errors if the jar wasn't signed. So oracle is finally dropping support for JWS in Java 11.